Where? Anywhere but a theatre across Brisbane, Noosa, and the Sunshine Coast! 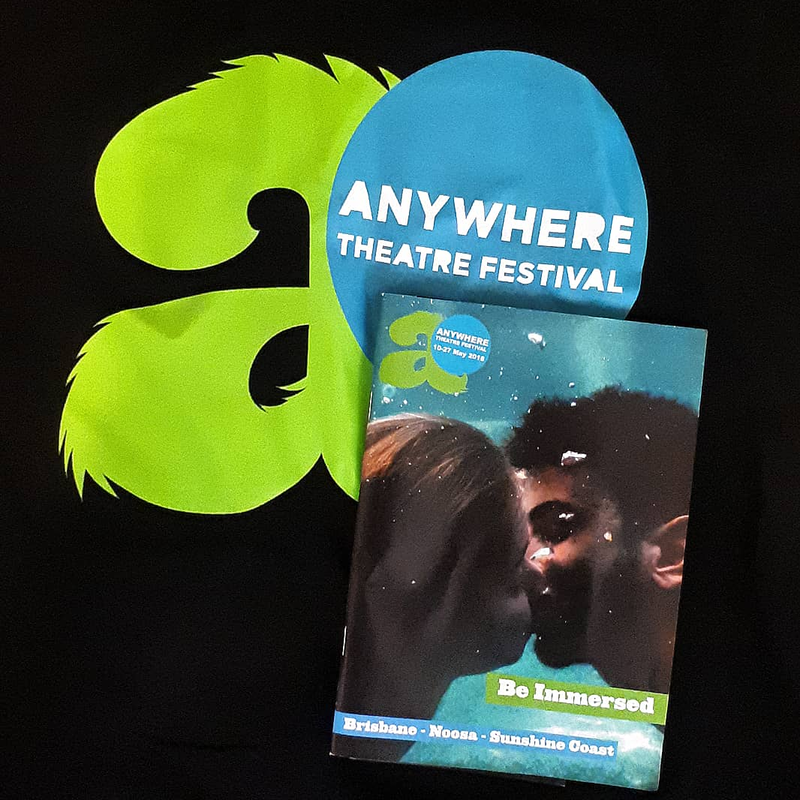 Anywhere Festival has launched, with the full programme now available and some shows already sold out! A Brisbane-based non-profit with a vision of bringing exciting performances to non-traditional spaces – backyards, bars, battleships – Anywhere is now in its eighth year and the theme is ‘Be Immersed’. 2018 is also the second year that Noosa and the Sunshine Coast have joined Brisbane in offering locations for festival performances, and the first year that all three city councils have been involved. The Anywhere programme ranges, as usual, from music to magic, circus to cabaret to comedy, storytelling to Shakespeare…there is something to pique any interest, and with a wide spread of locations there is almost certainly something near you. More events are also taking place in homes and backyards than ever before – real home theatre! I am excited to be reviewing for Anywhere this year – I’ll be posting links to my reviews on the Backstreet Brisbane Facebook page, and I’d love to hear what shows you have seen and what you thought about them, too. Find the full programme details and book your tickets on the Anywhere Festival website. See you there! Special Guest for American Idiot – Good Riddance!